“If we’re close to a deal where we think we can make a real deal and it’s going to get done, I could see myself letting that slide for a little while,” Trump told reporters during a cabinet meeting on Tuesday. “But generally speaking I’m not inclined” to delay raising tariffs, he added. Negotiators from the two countries began their latest round of talks this week ahead of the March 1 deadline for additional US tariffs on Chinese goods. Trump has threatened to more than double the rate of duties on $200bn in Chinese imports. Trump’s comments are the strongest indication that he’s willing to give the Chinese more time to firm up a deal to head off the bruising trade conflict, which has cast a cloud over the global economy. Extending the deadline could pave the way for a potential deal-clinching meeting with President Xi Jinping. 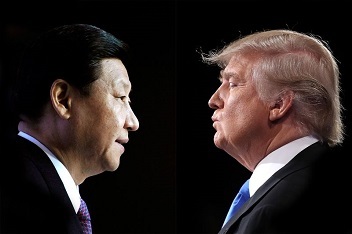 Xi is scheduled to meet key members of the US delegation, including trade representative Robert Lighthizer and US Treasury Secretary Steven Mnuchin, in Beijing on Friday, the South China Morning Post reported, citing unidentified people. Trump met the Chinese delegation in the last round of talks in Washington. Trump’s remarks also underscore his desire to secure binding commitments from Beijing to deeper reforms to its state-driven economic model, rather than simply short-term promises to buy more American goods. The push for a deal comes as Trump begins to lay out his case for re-election next year, arguing that his administration has helped to buoy US growth and employment through tax cuts and deregulation. But the tariffs have begun to bite in districts key to Trump’s political fortunes, including in farm states that traditionally vote Republican. Aides to Trump say this week’s talks are important as they need to demonstrate credible progress to both the president and financial markets. US officials are pressing China to stop allegedly stealing intellectual property from American companies and commit to deeper reforms to a state-driven economic model that they say hurts US competitors. One of Trump’s most persistent economic promises has been to rewrite the US relationship with China. Yet as he approaches a potential deal, some of the very hawks who have cheered on the president’s trade war already fear he may end up falling short. The US president hasn’t been clear about whether he’ll sit down to finalize a deal with Xi. This week a White House aide said the US president still wants to meet his Chinese counterpart soon in a bid to end the trade war.